Help us keep our clean, healthy rural life! Good water, good air, good local food. We are families, retired folks on limited incomes, vacationers, campers and hikers, and businesses in Brinnon. We have a year round population of about 700 people. What people love about Brinnon are its natural, unspoiled mountains, elk herds, rivers, beaches, clam and oyster flats and a small town feel. 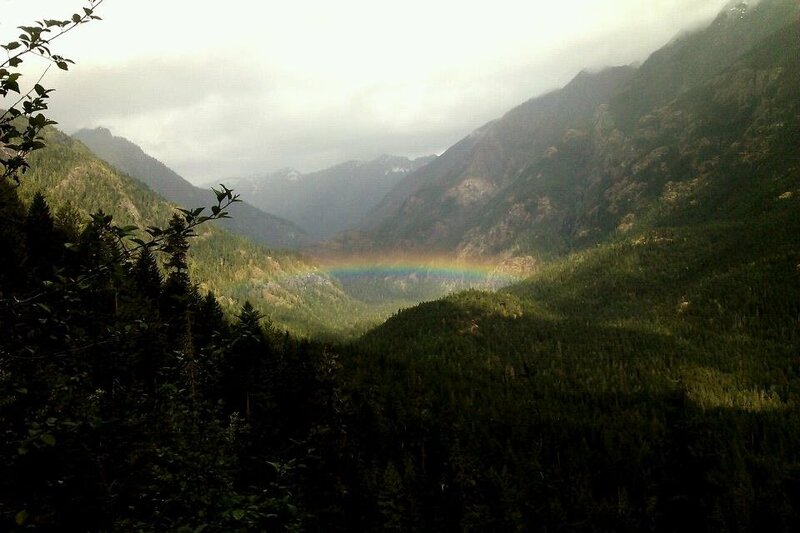 We nestle up to the World Heritage Olympic National Park. Just around the corner from me in the Duckabush valley is Black Point and Pleasant Harbor Marina. A developer wants to build a golf course with 890 residential units, a hotel, restaurant, convention center and a commercial shopping center with more housing. This is called a Master Planned Resort which is a mini city adding more than 2200 people to the area each day. It would also add 4100 car and truck trips per day to the two lane road that handles all the traffic going around the Olympic Peninsula. All of the pollution from those cars and trucks eventually winds up in our fragile Fjord, Hood Canal. The Brinnon Group and I have been fighting against this gargantuan development for 18 years. We now are fighting the county and the developer in court. All donations go to our legal fund. I have lived on Mt Jupiter, right above Black Point and have walked in the abandoned campground that is Black Point many times. It is a very special place, with geological features called kettles, left there when the ice retreated thousands of years ago. They are made into parks many places and are significant places for some Native Peoples. We currently owe our attorney $9,447.44. This includes his appearance at the first hearing in Kitsap County and a number of motions on how the case is to be presented (regulations and development agreement separately or together). We also are putting together the record of the documents that will be used in subsequent hearings. Our fundraiser in August paid off our legal bills to that time. We are planning a holiday fundraiser with several raffles to raise more legal fees. The resort is not a "done deal." The county says the developer has signed the development agreement and attachments, but has given us only a signature page for the development agreement. We don't know what agreement the signature is attached to. They say he has signed all the attachments, but have not given us these documents. The county has not signed any of the documents. We had our first fundraiser at the end of August. People commented on the "positive vibes." We raised money for our attorney fees, ate tacos and homemade cinnamon rolls and ice cream bars and bid on wonderful silent auction items. As well as raising money, we built our community opposition. Hood Canal is a Fiord carved out by the last Ice Age. Brinnon is one of the last areas that is still pristine. 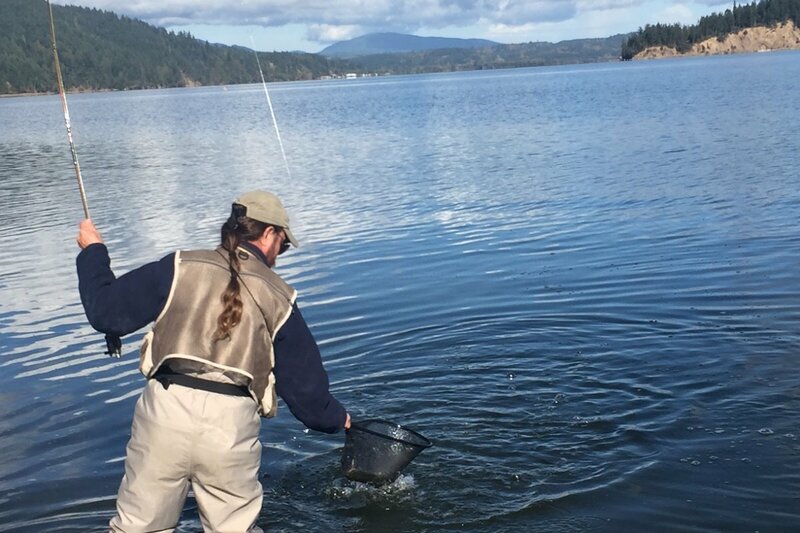 Here I'm fly fishing for Cutthroat Trout at the public beach at Pt. Whitney. 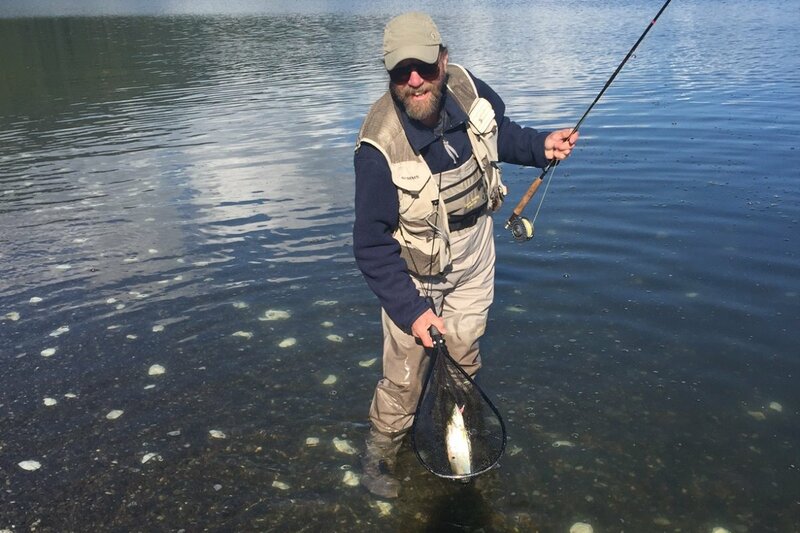 Catch and Release so many more can enjoy the same experience! 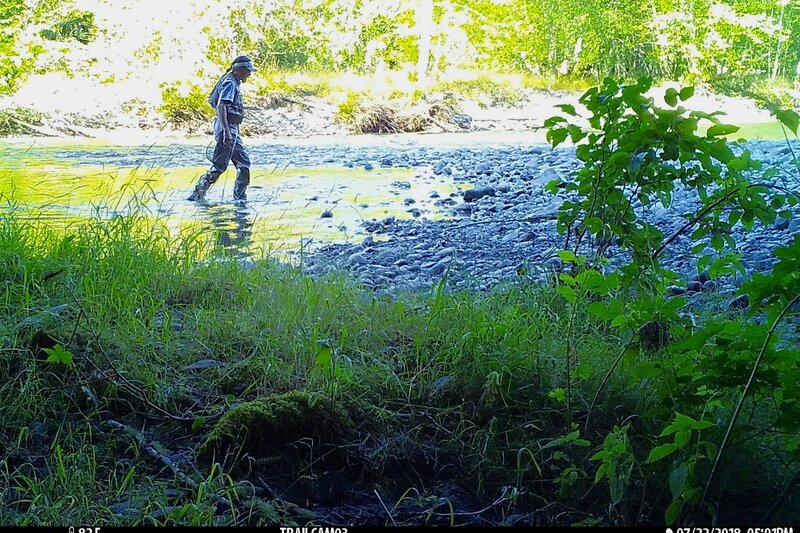 I fly fish the Duckabush River and was caught by the game camera set up by Lianna who is the River Watcher for the Oxbow Preserve. 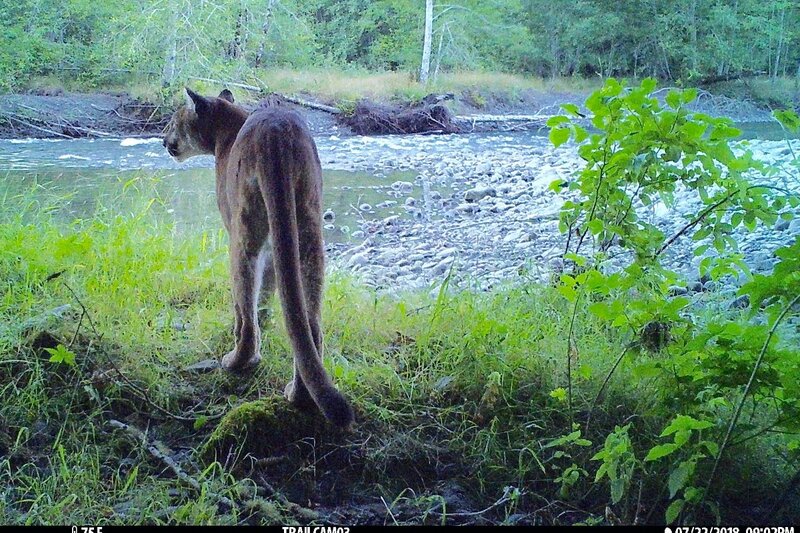 Four hours later at the same spot this cougar came to drink.